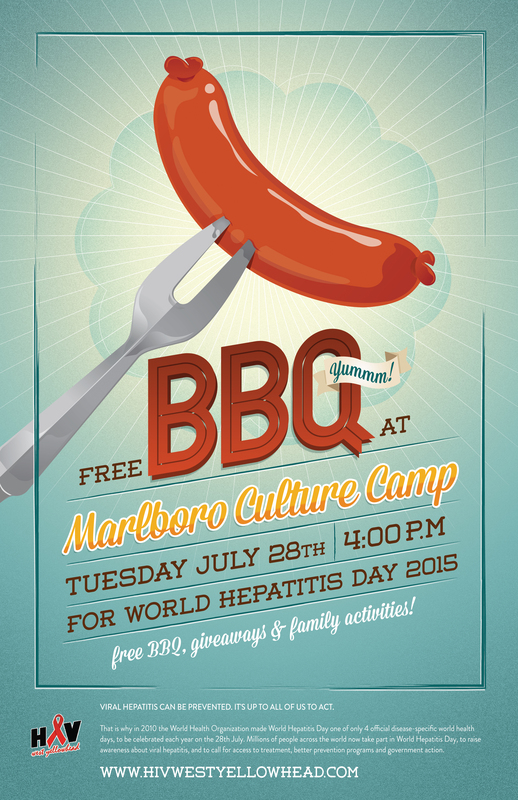 We will be in Marlboro at the Elders Culture Camp next Tuesday the 28th getting our BBQ on for World Hepatitis Day! Come by, eat some delicious food, play some games and win some prizes! Event starts at 4 pm!